Even in video game terms, this week has been chock full of zombie news. Sony and Microsoft, the dueling juggernauts of the console market, both offered up fresh and appropriately gory details about their respective (and exclusive) open-world games about killing the living dead—H1Z1 and State of Decay. Personally, I'm excited for both games. And there are plenty of other people who are too. Why else would companies of this size risk investing so much to make these things? Judging by a lot of the chatter I've seen around our coverage, however, I get the sense that there are also a lot of gamers out there who are feeling fatigued by the prospect of spending another console generation shooting at rotting faces. One comment on my H1Z1 post summed up this sentiment nicely: "I'm so done with zombie games. There's been way too many in the last couple of years." I responded by asking: when have there not been "way too many" zombie games? Like Nazis, space aliens, and terrorists, zombies are the kind of easy fodder developers can always go back to. Is that really such a bad thing? A few weeks ago, I would have unquestionably said yes. And then I would have launched into an argument about how the continued reliance on uninspired motifs saps away time and money from developing games like Papo & Yo or Papers, Please—the kinds of deeply personal, profound works of art I'd like to see get more and more attention from the upper-most echelons of the mainstream video game industry. But then I snuck away from work for a few hours to sit in on the Games for Change conference that was taking place at New York University throughout the week of April 25th. One talk I saw there made me appreciate zombies in a whole new way. The speaker was Mary Flanagan, an academic and game designer who's renowned amongst the intellectual class that attends a conference like Games for Change. Her talk—ambiguously titled "Games for Change 2.0"—centered on her frustration with the way that games made for educational or socially progressive causes often fail to demonstrate the kind of meaningful, actionable outcomes that their creators claim to aim for. "We need evidence of change actually happening," she said at the outset. Game developers need to start applying data-rich psychologically-driven reasoning into every part of the design process. She spelled out numerous ways that this has already been implemented in her own work and that of her colleagues for games made to be educational or just plain entertaining. But a lot of it, she went on to say, just comes down to framing—how the game is packaged and presented to its players. This is where the zombies come in. Towards the end of her talk, Flanagan brought up Pox, a strategy board game that her company Tiltfactor made to help people "understand group immunization and the need to vaccinate." The team at Tiltfactor conducted a study with the game where they designed three different versions: a physical board game, a zombie-themed variant, and a digital version for the iPad. They had participants in the study play the three versions and then measured for two results: how players were valuing vaccination and the level of "systems thinking performance" about immunization. She pulled up a bar chart demonstrating the results for all three versions. The biggest jump by far came when they measured the level of retention and overall awareness between subjects who had played the board game (which was very high) and the digital version (which was much, much lower). But the more surprising result, she said, came when they saw that the zombie-themed version of the game actually produced the best results of the three. "Is anybody surprised about the zombies?" She asked, visibly amused. "I didn't really think people would care about being vaccinated against zombies. Check again!" Zombies are fun and all, and they certainly help liven up a theory-heavy series of talks. But what's the real takeaway here? On one fundamental level, Flanagan said, the zombified version of Pox showed her that all of the ideal outcomes that she and the rest of Tiltfactor aim for in their work shot up dramatically once they introduced a "fictional world" to a piece of work that would otherwise have remained entirely abstract. But speaking more generally, Flanagan said, examples like Zombie Pox made her reconsider how a progressively-minded game "does better work the less it looks like a game for change." "How does a game for change not look like a game for change?" she asked shortly before diving into the Pox part of her talk. Oftentimes, she suggested, a game works best when the "message of responsibility" is delivered at some discrete, subconscious level. It's easy to see how an educational title like Pox or any of the other so-called "serious games" can be used to deliver a message in one way or another. And if livening up an educational game with the living dead helps deliver an important message to more people, then I'm all for it. But one could still make the argument that Flanagan was only really advocating poaching some ideas from big-budget entertainment titles to strengthen more substantive or socially progressive projects than those. The education-through-zombification doesn't have to stop there, though. If H1Z1 or State of Decay are truly yawn-inducing, than that's their problem. 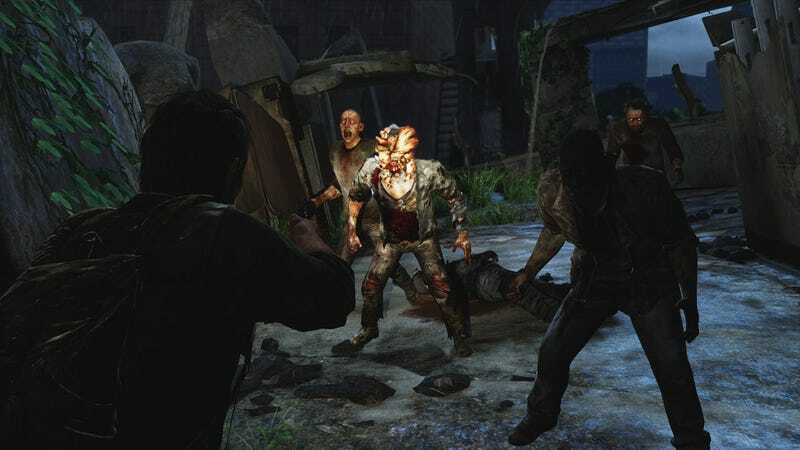 Two of the best mainstream games I've played in recent memory are TellTale's moving episodic adventure The Walking Dead and Naughty Dog's stunning tour-de-force The Last of Us. Both feature zombies. Lots and lots of zombies. Both are also incredibly fun in their own unique ways. And, most importantly for my point here, both have also won heaps of well-deserved praise for courageously broaching topics like racism and sexual identity. Could they tackle the same issues with a few less zombies involved? Sure. But killing lots of zombies (or at least a few, in The Walking Dead's case) helped make both of them more palatable. Because, I mean, fighting zombies always makes the bitterness of a painful emotional experience an easier pill to swallow. 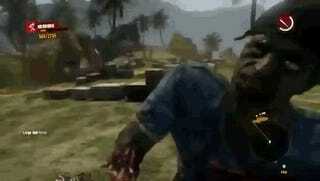 Let's keep having zombies in our games, I say. Heck, let's even have more zombie games, because all that rotting flesh is sure going to look pretty on the PS4 and Xbox One. All I ask is that the games themselves not be quite as braindead as their subject matter.